The Before picture shows a hole that formed next to a walkway. This was creating a trip hazard. The After picture shows a Saber crew member preparing this area for our Polylevel processs. This installation will fill this void and stabilize the driveway. Our home is showing signs of a fundation problem. Cracks on the walls, doors are not closing bathroom floor vinly seperating from bathtub....etc. 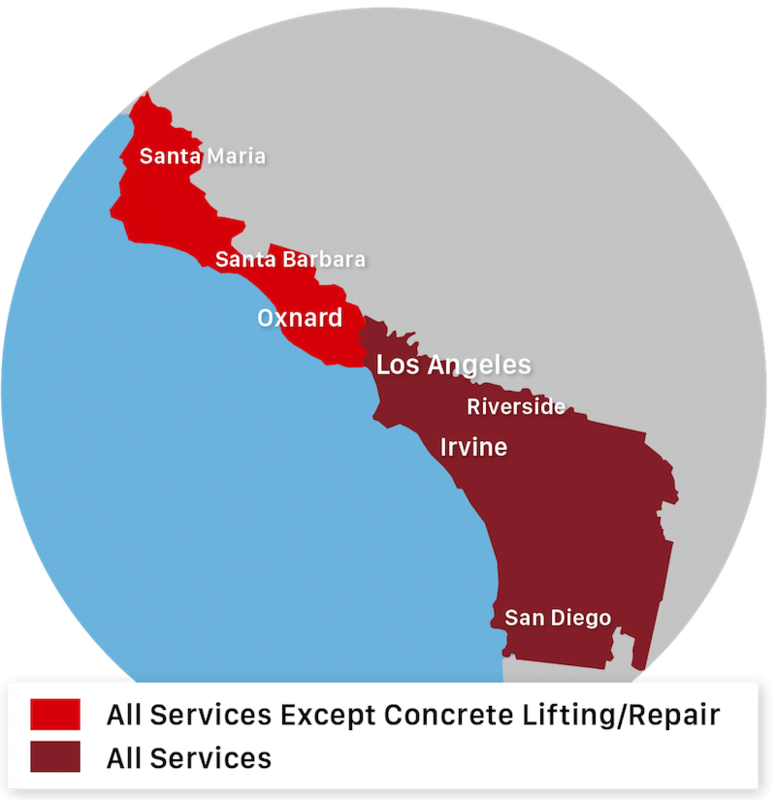 Saber Foundation Repair has been providing durable, long-lasting, and trusted commercial foundation repair and concrete leveling in Calexico, CA since 2001.